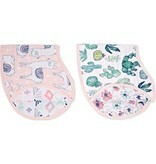 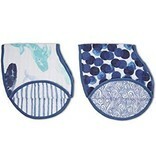 Made with 100% cotton muslin, Aden and Anais' patented classic burpy bib keeps you and your little one clean. 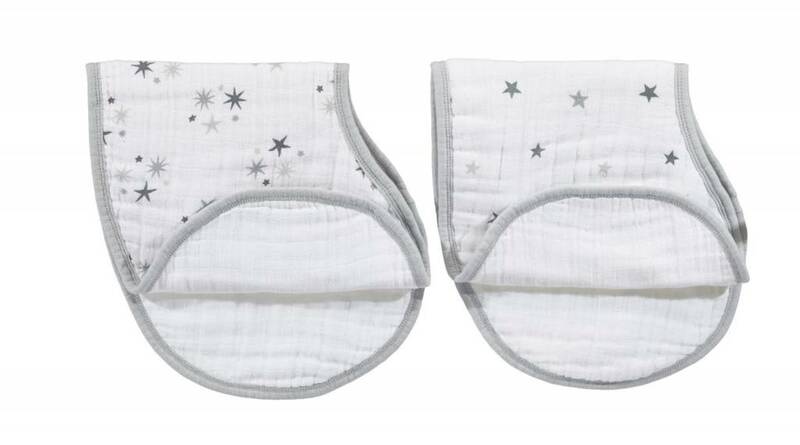 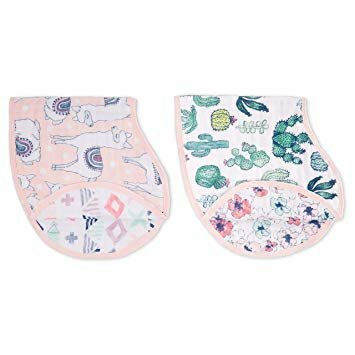 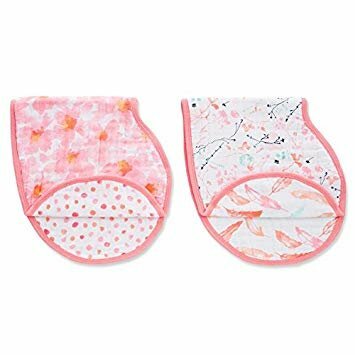 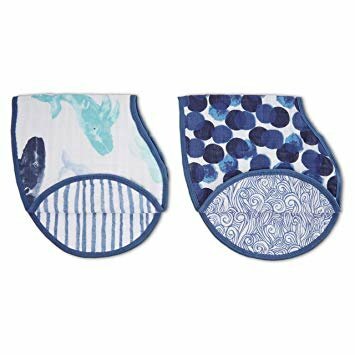 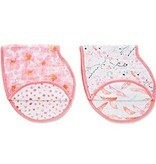 The generously sized, absorbent fabric drapes over your baby’s shoulders and snaps at the back for a breathable bib that catches the sneakiest of side dribbles. 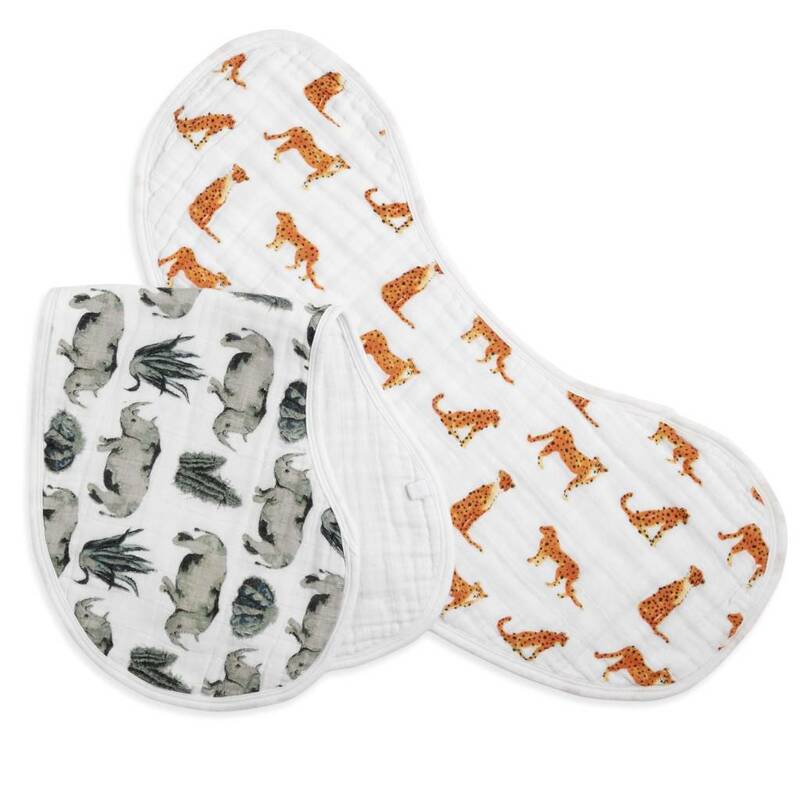 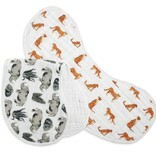 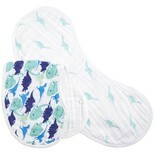 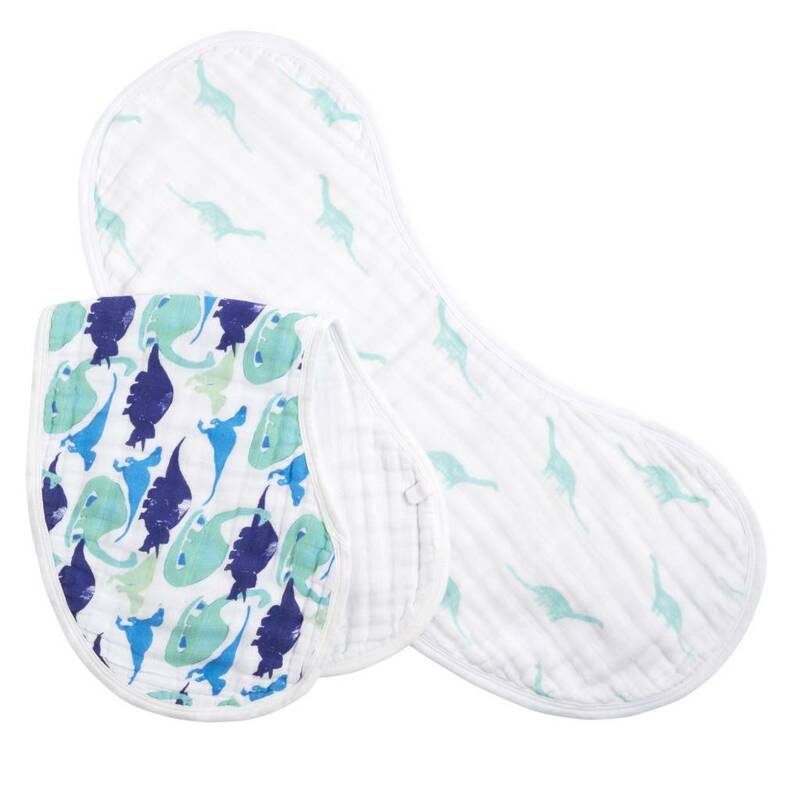 It also doubles as a no-slip burp cloth with its kidney shape that sits just so right over your shoulder. 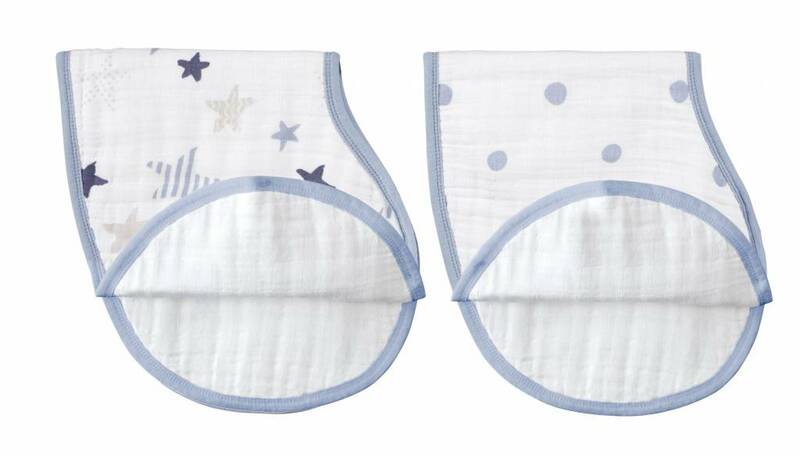 The messier the classic burpy bib gets, the better. 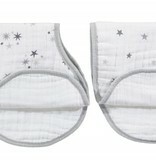 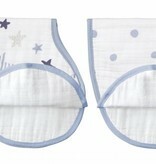 The muslin is pre-washed so it’s super soft from the start and stays that way wash after wash.
pack of 2, 9" x 23.5"